Abundance of fine medieval sights and popular tourist places of Milan will take unawares any unprepared tourist, but having read our article, you decide on ease as when it is worth visiting in Milan. 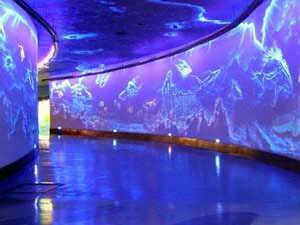 Aquarium – one of the oldest and the sights not only Milan largest in own way, but also all Italy. In it 36 huge pools which more than 100 different types of fishes which habitat stretches from waters of Amazon to the Mediterranean Sea are filled are located. However the main attention is paid to the types living in the territory of Italy and to endangered exotic species of sea life with other continents. Strangely enough, but among residents of Milan notorious piranhas enjoy the greatest popularity. This sight also contains the library which within every year is replenished with a huge number of corresponding literature. 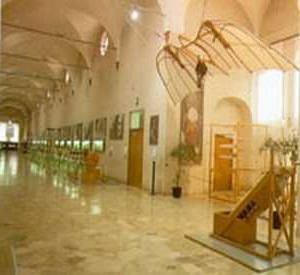 The library is one of the most important information resources of sea biology and oceanic researches of Milan. You can visit an aquarium Tuesday through Sunday absolutely free of charge. So you are simply obliged to visit this sight, on scales and quantity of rare fishes to it is not present equal not that in Milan, and in all Italy. Saint Ambrose’s basilica is one of the oldest sights of Milan. It was constructed by the bishop Ambrose in 379-386 years. In 1099 the church was reconstructed in Romance architectural style, but the plan of the original building of a basilica was kept including a main entrance with the most beautiful arches. According to standards of medieval architecture in Milan, the facade of sight had a flat appearance. In 1144 two belltowers were completed. Since then the type of church did not change up to now. Walls of a basilica are decorated with a mosaic of the beginning of the 13th century. It is interesting to know that in this sight of Milan there is a tomb of the emperor Louis II who died in Lombardy in 875. The church is open in all days of week, certainly, free entrance. 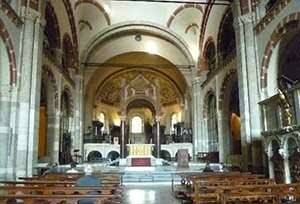 I advise all to visit Saint Ambrose’s basilica as it is the most ancient sight of Milan. The grandiose lock of Sfortsesko was constructed in the 14th century in Milan. Since then it is considered one of the best historical sights of the capital of Italy. After long bombardments of 1943, the lock had to be reconstructed, but after such reconstruction this sight of Milan became even better to look. The huge territory breaks into several small yards. Also here 3 museums are equipped, but enjoys the greatest popularity in Milan, nearly only historical museum of art of Kastello Sfortsesko. The most attended exhibitions of sight are collections of sculptures of the master Pyet Rondanini, famous in Milan. As always the latest works of Michelangelo, and also an art exhibition of Mantegna, Bellini, Leonardo da Vinci and Filippo Lippi which regularly pass across all Milan enjoy special popularity. Two other museums for some reason did not receive due consideration of tourists and inhabitants not really visit the Museum of applied art and the Archaeological museum of Milan. You should pay 3 euros for an entrance, but for children and pensioners discounts are possible. It is interesting to know that it is possible to visit this outstanding sight of Milan in any day of week. Tomsk cathedral – not only one of the best sights of Milan, but also the largest Gothic cathedral in the world. It is located on the square bearing his name. The fact that building of this sight of Milan began in 1386 is interesting, and proceeded from time to time while Napoleon did not order to finish it in 1809. But such long construction had also the pluses: for more than 4 centuries 3400 statues, 135 spikes and 96 a gargoyle which each detail, was led up to an ideal were made! It is the best of all to visit this grandiose sight of Milan in a sunny day, then colourful wall mosaics will iron most attractively. Also in a cathedral governors and some influential people of that time are based. All who arrived to Milan have to visit this sight. 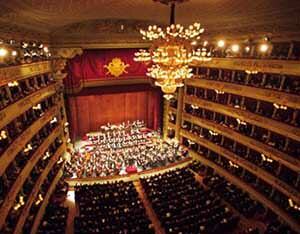 La Scala – the most known opera theater of Milan. It is reopened in December, 2004 after large-scale reconstruction. There took place reorganization of many departments, such as bookstore, bar, the museum of history, and of course, a scene of this sight of Milan. The initial type of opera theater was designed by the architect Giuseppe Pyermarini in 1778. Since then many famous operas were put on the stage of theater. During World War II, the theater was strongly bombed, as well as other sights of Milan. Later few years, in 1946, it was reconstructed again, and it quickly restored the reputation of the leader of the Italian opera theater. Do not forget to visit also you this sight. Your attention is required also by such known sights of Milan as the National museum of science and technologies of Leonardo da Vinci in which you will be acquainted with military vehicles and other technological developments of the Italic genius. The special attention is also required by other popular sight of Milan – Vittorio Emanuele II’s Gallery. 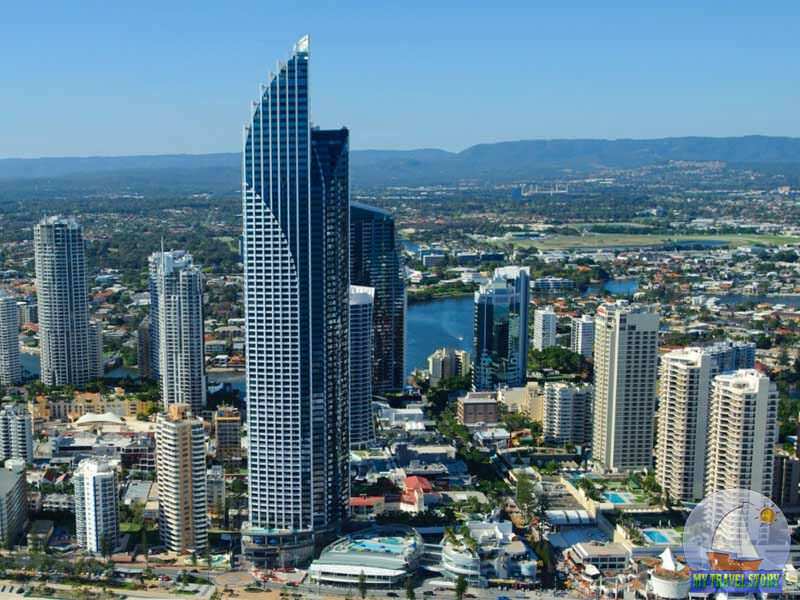 It represents a four-storeyed complex of the buildings covered with a glass dome. The gallery at Pyazza Della Scala Square is located. Initial purpose of this sight of Milan was very modest, it was only pass to opera theater. Many years, a complex later under a dome became a popular venue of free time of residents of Milan. It is a lot of cozy cafes, small outlets, and just beautiful vacation spots, made this modest town the real sight of Milan. Article provides the list the basic of sights of the beautiful Italian city of Milan. In addition you will be able to find the description and photos of these sights.